Contains 30 kcal per 100g. 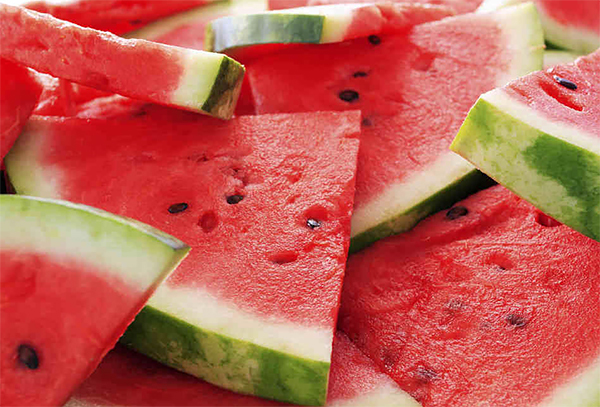 Watermelons are 91% water, making them hydrating and cooling. They are very good sources of vitamins C and A, and are a good sources of Potassium.